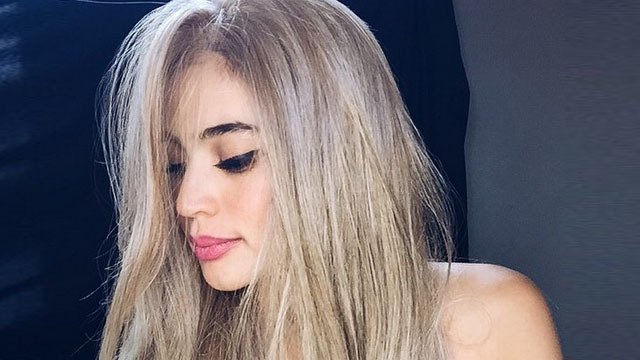 Does Blonde Hair Look Good On Filipinas? If you answered no, here are Anne Curtis, Rhian Ramos, and Yeng Constantino to convince you otherwise. Pinays are one of the most beautiful girls in the world. Blondies, too. So how about Filipinas who are also blondes? A good mix? These celebrities below sure as heck make believers out of us! Waiting to board the plane heading to Legaspi, Bicol. I have a show tonight in Daraga, Albay. Pag tamad mag makeup, mag glasses na lang. Glasses from @glameffect and im wearing a #ShortcutsPocketTee from @shortcutsapparel. The purchase of this shirt helps kids go to school, check em out.